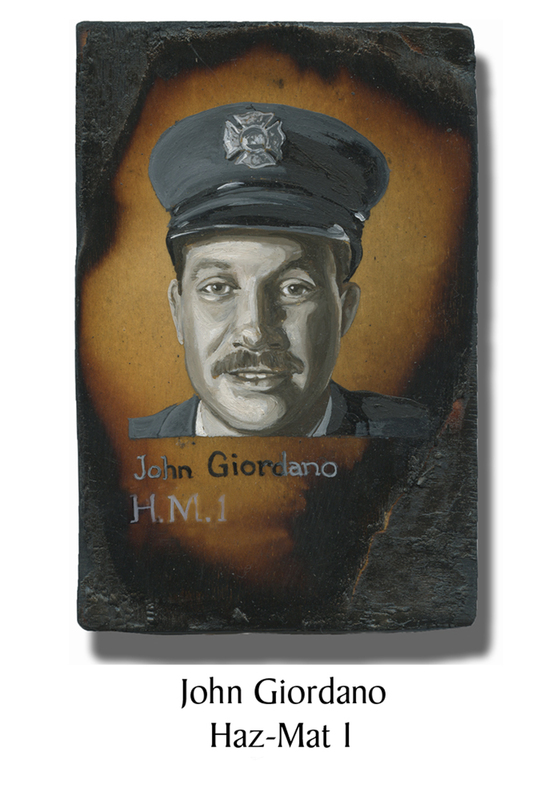 John Giordano, 47, was a resident of Newburg, NY, up the Hudson River from Manhattan. He had been writing his Master’s thesis in environmental science at Bard. This interest is why he had requested the transfer into Haz-Mat. “He enjoyed the science behind the job, analyzing so you knew the material to use to fight the fire before you got to the fire,” said his wife. Giordano was a classical guitarist who not only played but taught, although lately arthritis in his thumb had made it more difficult. So a month before 9/11, he brought a piano home. Castagna, a probie assigned to stay behind with the Haz-Mat truck was surprised to see Giordano at the site since he didn’t know he was working. “I said, ‘John, what are you doing here?’ He shrugged his shoulders as he walked past me, all geared up and ready to go,” headed towards the South Tower. This entry was posted in Better Angels Stories and tagged 343, 9/11, better angels, Dawn Siebel, FDNY, firefighter, firefighters, firefighters of 9/11, Haz-Mat 1, John Giordano, LODD, Manhattan, memorial, NFFF, paintings, portraits, World Trade Center, WTC. Bookmark the permalink.